Pioneer’s 83rd Annual Meeting of Members was held March 23 at Upper Valley Career Center. 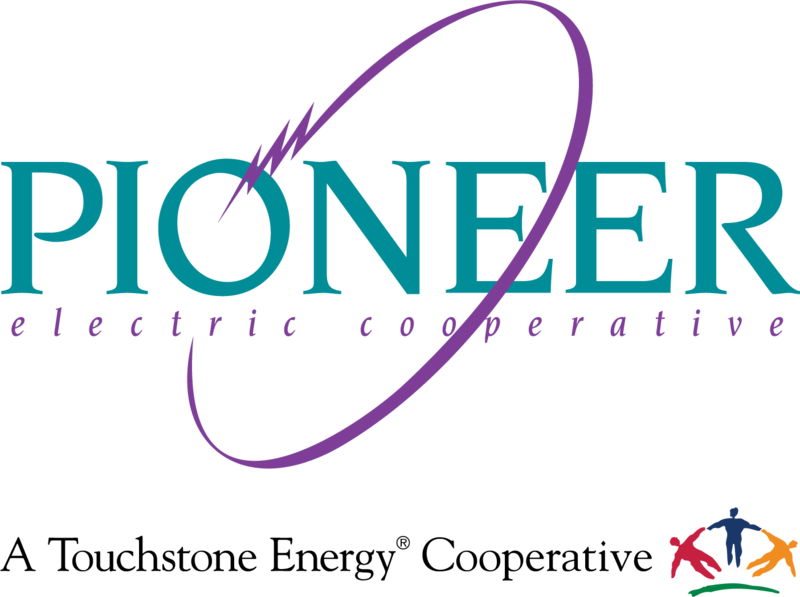 Pioneer Electric Cooperative is a not-for-profit distribution utility focused on providing service to its consumer-members, primarily in rural Champaign, Miami, and Shelby Counties, as well as portions of the eight surrounding counties. The event included a pancake breakfast and formal business meeting, as well as an update from Pioneer President and CEO Ron Salyer and Vice President and Chief Financial Officer Susan Knore. The meeting was led by Board of Trustees Chair, Ron Clark, who presented an overview of the cooperative’s strengths as they relate to being reliable, responsive, and ready. Clark addressed Pioneer’s commitment to reliability through regular and preventive maintenance programs including line replacement, pole testing, and ash tree removal. The cooperative has removed more than 12,000 trees which posed a danger to our electric system. Clark went on to summarize the co-op’s responsiveness through out-of-state mutual aid in 2018, as well as locally taking care of our own members’ needs. Those needs included outage restoration, enhanced communication, outage alerts, and a recently refreshed website. He also noted numerous employee-funded donations throughout the year including the Dayton area Alzheimer’s Association and local food pantries. Clark encouraged participation in Pioneer’s political action committee, ACRE® Co-op Owners for Political Action® and the importance of being ready to fight for legislative fairness on issues that affect the co-op and our members at a local, state, and federal level. Participation in the political action committee grew by almost 25 percent in 2018. Clark concluded by honoring retiring Pioneer Board Trustee Orville Bensman of Sidney. Bensman was first elected to the board of trustees in 1998. Prior to his 21 years on the board of trustees, he served four years on the Shelby County nominating board. In the cooperative update, Salyer re-emphasized many of Clark’s remarks and highlighted some of his own including, the company’s pledge to the national Commitment to Zero Contacts safety initiative, staying current with new technology to meet consumer-members’ increasing expectations, and continuing to provide safe, reliable, and responsive service. Additionally, the more than 460 attendees had the opportunity to meet and talk with the line crew about recent mutual aid trips, watch a tabletop safety demonstration, and learn more about Pioneer’s upcoming system improvement projects. The election results for the Pioneer Board of Trustees and each of the county boards were announced during the business meeting, as well. As a democratically controlled organization, those running for their respective boards are Pioneer members and are elected by their fellow members. Voting was conducted by mail and online. Elected to three-year terms on the Pioneer Board of Trustees were: Mark Bailey of Champaign County, Colleen Renee Riggs Eidemiller of Miami County, and John Goettemoeller of Shelby County. Positions filled on the county boards of the Champaign, Miami and Shelby districts are as follows. Those elected to the Champaign County board are: G.W. ‘Wes’ Duer, St. Paris; Brian Case, St. Paris; Rodney Wilkins, Cable; and John Wilson, Mechanicsburg. Elected to the Miami County board are: William Francis, Piqua; Kimberly Cope, Tipp City; Robert K. Zimmerman, Casstown; and James L. Henry, Tipp City. Those to serve on the Shelby County board are: Bernard L. Zircher, Fort Loramie; Bill Clark, Houston; Ronald F. Thurber, Anna; and Daniel L. Knasel, Sidney. During their re-organizational meeting, the Pioneer Board elected the following officers for the year: Ronald Clark, chair; Colleen Renee Riggs Eidemiller, first vice chair; Mark Bailey, second vice chair; Terrence Householder, secretary; and Ron Bair, treasurer.